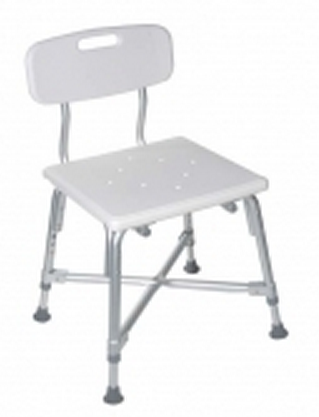 Drive Medical's Deluxe Bariatric Bath Bench can truly be defined as heavy duty. Using a innovative Dual Frame Brace, the Deluxe bench can support 600 lbs on its large (17.25" wide x 16" deep) seat. Yet, because it is manufactured with 1" aluminum tubing, it still only weighs 8.5 lbs (without back - - 10 lbs with back). To make the bath bench even more stable, the bench has both width and depth cross braces that are attached with aircraft-type rivets. 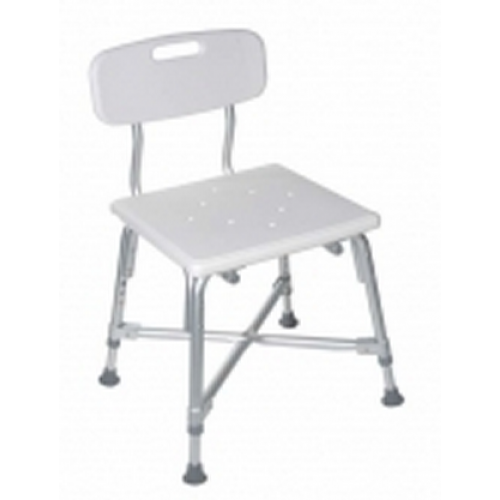 The large seat is very durable, being created from blow molded plastic, as is the back when present. Plus drainage holes are present to reduce slipping for patients. Best of all, the item does ship fully assembled, you only need to take it out of the box. All in all, the Deluxe Bath Bench is a sturdy, well-built, convienent bathroom accessory that makes daily life that much easier.